Direct flights from China’s Guangxi Province to the country's top tourist destinations Davao, Cebu and Clark can soon be expected to bring in additional tourists from China. 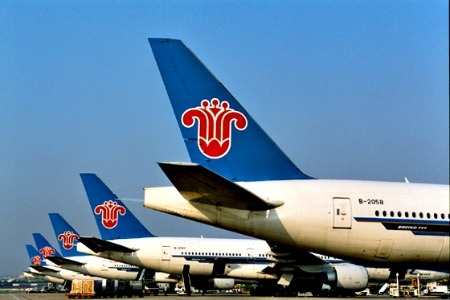 This after the Department of Tourism (DOT) recently closed a deal with Chinese state-owned Guangxi Tourism Development Group Co., Ltd. to mount these additional flights during the recent “Belt and Road Forum” in Beijing. “This undertaking will open up secondary gateways in the Philippines to the Chinese market and bring in additional tourists from mainland China,” Tourism Secretary Wanda Teo said in a statement. Teo, who was with the entourage of Pres. Rodrigo Duterte, said the chartered flights add to the list of air carriers that directly service 13 Chinese cities for trips to Manila, Kalibo, Cebu and Laoag. It was not mentioned which airline will be providing the services or when the services will start. She, however, described the deal as a “win-win” situation for both parties and expressed excitement for the launch of the said flights. “We are excited about Guangxi’s commitment, as we tap its 55 million population of what is considered the Asian center of economy and finance,” she added. Meanwhile, tour operator Sun Fair International, which has offices in Xiamen and Hong Kong, has already committed additional ten thousand Chinese tourists coming from the cities of Shanghai, Xiamen, Chongqing, Chengdu, Hong Kong, and Beijing, starting this month. The additional Chinese tourists will make up a diverse group of leisure travelers, divers and adventure seekers to rollers, businessmen, culinary travelers to shoppers, and even employees on company paid tours, Sun Fair International said in a statement.